​Summer Sports Camp offers the chance for your 5-7 year old to get in on the fun at Cahoots with a program just for them. 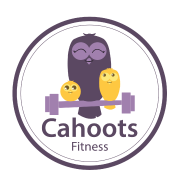 Our certified Cahoots instructors coach your young athletes in a different sport each day of the week! Sports include basketball, soccer, gymnastics, golf, bowling, and track & field activities. PE style games and other physical fitness activities are also incorporated for familiarity and fun. Sports Camp provides a unique opportunity for your child to try several different sports while improving their coordination and social skills. Sports Camp classes are 50 minutes long and are available every weekday at 8am and 9am.